Offering a niche of Automatic Hand Dryers such as Automatic Hand Dryer, Single Blower Automatic Hand Dryer, Automatic Hand Dryer Single Blower and Automatic Hand Dryer Twin Blower at its best, with utmost quality. 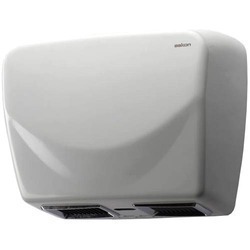 Our offered Automatic Hand Dryer Twin Blower is designed for drying hands after hand washes instead of using napkins. 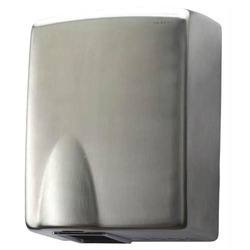 Moreover, use of napkins can be very unhygienic thus they can be replaced by our hand dryer. This finds its applications in public restrooms of offices, hotels, malls, clinics and hospital. Our offered Hand and Face Dryer is one of our fastest, robust and affordable ranges of dryers. This is designed with a modern, stylish appearance, whilst boasting powerful output and quiet operation. Additionally, the revolving nozzle provides in enabled to dry hands, as well as face. 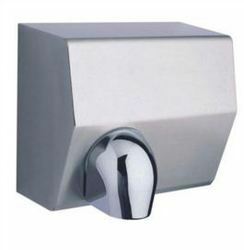 Our offered Automatic Hand Dryer is designed for tough and durable use in heavy traffic areas. 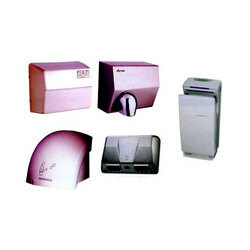 These are available in varied models various models like electric hand dryers, stainless steel hand dryer, metal hand dryer, ABS hand dryer and high speed hand dryer etc. Moreover, these are one of the preferred choices for use in hotels, offices, airports, shopping malls, stores and other public places. MSQ-120 Hair and Body Dryer. 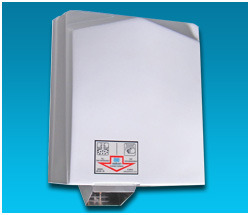 Our offered Single Blower Automatic Hand Dryer is highly appreciated due to its performance and great appearance. This is used for drying hands at various public as well as private places like homes, offices, malls, restaurants, resorts, etc. 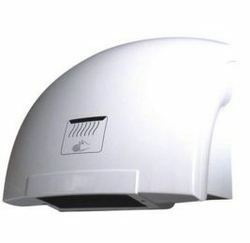 Moreover, this automatic hand dryer offers reliable speed, temperatures and power consumption.